"Upon retaining Mr. Goldstein… his law firm not only represented me in the utmost professional manner, but they were fair and accessible to me as needed. Finally, an attorney/firm with integrity!!" E.
"If you are looking for strong representation, especially in high conflict cases, then look no further because you have found the right law group." N.A. "Mark turned my case around from the first day I hired him. He's very strategic and he's a 'numbers' man which was exactly what my case needed!" T.D. 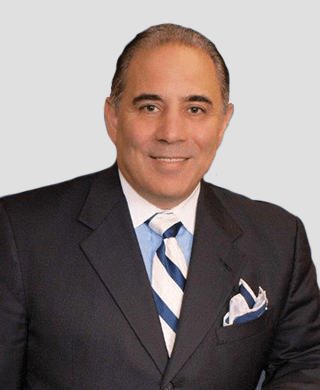 "If you are seeking a divorce attorney who is a compassionate human being with praiseworthy perseverance and ambition, then Mark Goldstein is the lawyer for you!" J.B. I agree to the terms in the disclaimer (Required) This website is designed for general information only. The information at this site should not be formal legal advice. Submitting this form does not create an attorney-client relationship. Enter text from the image above. Please enter the text from the image on the left. One of the most challenging situations that any individual can face in their life is a divorce proceeding. It is all too common for unpleasant emotions and acrimony to cloud a spouse's judgment during this sensitive time, and it may help to have an objective but compassionate counselor and advocate on your side. 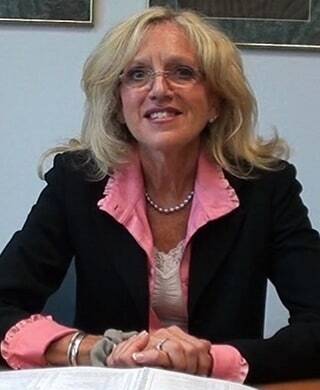 At Goldstein Law Group, our family law attorneys serve individuals in Monmouth County, Middlesex County, Ocean County and throughout the State of New Jersey who are seeking a divorce or dealing with related issues, such as: domestic violence, child custody conflicts, including parental relocation, child support matters, property division (equitable distribution) and business valuation, contributions towards college expenses, and the many aspects of alimony including termination, modification or enforcement. Mr. Goldstein has been practicing more than 32 years and the attorneys in our firm have over 100 years of collective legal experience. 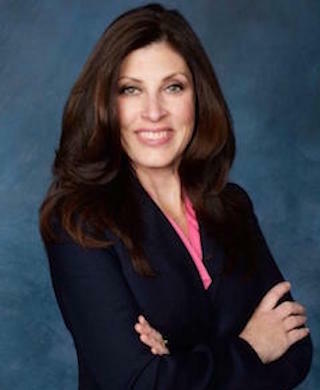 In addition to our practice as divorce and family law attorneys in New Jersey, the founding partner of the Goldstein Law Group, Mark Goldstein, Esq., has been providing legal services for almost three decades in the areas of commercial law, defense for criminal offenses like DUI arrests and drug crimes, estate planning, real estate, and general civil litigation. We have two office locations to ensure convenience for our clients when coming to see us in person. Our Middlesex County office is located in Old Bridge, midway between the Middlesex County Superior Court in New Brunswick and the Monmouth County Superior Court in Freehold. Our second office is located in Brielle, in southern Monmouth County, on the border of Ocean County, midway between the Monmouth County Superior Court in Freehold and the Ocean County Superior Court in Toms River. There are several grounds for dissolving a marriage in New Jersey. Courts will grant a divorce when spouses have irreconcilable differences that are not able to be resolved. They also permit a divorce to be granted when spouses have lived apart for at least 18 months. These are the common "no fault" grounds you may have heard of. In addition, there are other recognized grounds for divorce which carry a degree of fault; These include such grounds as adultery, desertion for over a year, imprisonment for more than 18 months, deviant sexual behavior, alcohol or drug abuse, or extreme cruelty. As a general rule, you or your spouse must have resided in New Jersey for at least one year before filing a complaint for divorce. Unlike some states that have a "cooling off period," there is no waiting period specified in this state, and a judge can enter a divorce decree after a court hearing. Our New Jersey divorce attorneys can help you make sure that you meet the procedural requirements. An issue that arises in most divorce proceedings, whether or not there are children involved, is how to divide marital property. This consists of any assets that spouses acquire during a marriage. This division can and usually does also include a division of the debts or liabilities of the parties that were incurred during the marriage. The manner in which the title to an asset (or debt) is held, for example, in just one spouse's name does not, in and of itself, determine if the non-title holding spouse is entitled to share in the value of that asset. There is another category of property recognized in New Jersey family law known as separate property which is not typically subject to division and stays solely the property of the spouse who acquired it. New Jersey courts follow principles of equitable distribution. As a divorce attorney in New Jersey can explain, this means that the court will try to divide marital property fairly, but not necessarily equally. "Equitable distribution" entails looking at the length of the marriage, the spouses' economic circumstances, and their individual contributions of income and property to the marriage. Also under consideration will be the lifestyle and standard of living which the couple maintained during the marriage. In some cases, based on financial need, a Monmouth County or Middlesex County court orders a spouse to pay alimony to the other spouse. As with property division, the court will look at the standard of living during the marriage, but it will also consider earning capacity and whether a spouse needs more education or job training to become self-supporting. Whether one spouse has stayed home or sacrificed his or her career to take care of minor children will be taken into account as well. The New Jersey legislature enacted sweeping alimony reform in September 2014. The legislation essentially did away with the form of alimony previously known as "permanent alimony". The new form of alimony enacted in 2014 is known as "open durational" alimony. Now, more than ever, it is important to speak to an experienced divorce and family law attorney to help you understand and navigate thru these newer laws. This new law also addressed and clarified factors that can be considered cohabitation of a dependent spouse that receives alimony which can lead to a termination or modification of the dependent spouses' alimony. Alimony orders can be modified with the assistance of a New Jersey divorce lawyer if a spouse's circumstances are altered in the future. Examples of these changes can include such things as an increase or a decrease in the income of the dependent or supporting spouse, cohabitation of the dependent spouse, or intervening health issues that impact a person's ability to support oneself or pay the alimony. Particularly challenging concerns may arise in connection with a divorcing couple's children. Parents are required to financially support their children until they are emancipated. Emancipation can occur when a child turns 18 or graduates from high school, whichever comes later or, it can continue until a child graduates college or a trade school. In New Jersey, courts calculate child support based on the parents' income by applying the New Jersey child support guidelines which generally applies to cases where the parties' aggregate net income (after taxes) does not exceed $3600 per week (net income, after taxes, NOT Gross Income) . If the parties combined net incomes are greater than this $3600 per week threshold, the guidelines would apply up to the maximum award for the $3600 per week and the court would have to conduct a hearing to determine how much additional child support may also be payable in excess of this maximum amount based upon the children's needs that might not be met with only the maximum amount under the guidelines. In such a case, the court will consider the child's needs, and parental age and health. The parents may also have to pay for the child's health insurance and educational costs based upon their ability to pay. A parent's ability to contribute towards the child's health insurance and daycare expense is usually tied into the incomes of the parties and the ratio of each parent's income to each other. Like alimony, child support can be modified later to account for changed circumstances. Child custody orders in New Jersey are based primarily upon a standard known as "the best interest of the child". Parents are encouraged to come to an agreement about what the child custody arrangement should be, but if they cannot, the court will evaluate the child's physical, emotional, and educational needs and determine to what extent the parents can cooperate and communicate about meeting these needs. The court will decide whether a joint custody arrangement is possible and in the best interest of the child or children or if one parent should have primary custody and if so, how much time each parent should have. Child custody orders can be altered when evidence shows that they should change to meet the child's best interests. Technically, custody orders are never permanent. They are always subject to review and modification IF there has been a change of circumstances that can or does affect the child's best interest. Sometimes circumstances change after a judgement of divorce or custody order has been issued. A parent may need to move, they may lose their job or another source of income, an illness may intervene, or the child's needs may change. If this happens, you can return to court to show that a substantial change in circumstances has occurred. Our divorce and family law attorneys can help New Jersey residents advocate for a modification of a family law order or try to prevent a modification if it is not appropriate. Annulments are an alternative to divorce that can un-do a marriage. Our office handles annulments frequently. There are, however, very specific grounds for an annulment in the State of New Jersey. Most people that call us initially seeking an annulment are under the misguided impression that any marriage that was shorter than one year in duration would qualify them for an annulment. That is not correct. The actual grounds for annulment are found in the Statute and a plaintiff seeking an annulment must be able to plead and prove one of these specific grounds. In contrast to a divorce, an annulment means that the marriage never happened. Getting an annulment requires showing specific grounds, such as fraud, duress, impotence, bigamy, or a failure to consummate the marriage. Some couples prefer an annulment to a divorce for religious reasons. Unfortunately, physical or psychological abuse sometimes plays a role in the breakdown of a marriage or another relationship. However, not every accusation is justified, and each case merits an investigation of its specific facts. If you are a victim of domestic violence, our attorneys can help you pursue a restraining order against your spouse or partner. We also can assist people who have been unfairly accused of domestic violence in fighting restraining orders and criminal consequences of domestic violence allegations. If you have been arrested for a crime, or even if you are under investigation without charges having been filed, you may be anxious about the impact on your future. Criminal defendants have many important rights, but they may need to retain an attorney to protect those rights to the fullest extent of the law. We can review the events in question to determine the defenses that may apply in your situation. Any criminal charge needs to be proven beyond a reasonable doubt to secure a conviction, and we can make sure that the prosecution is held to this high standard. Certain relatively minor crimes are handled in the municipal courts of New Jersey. While you may think it may not be worth the cost to hire a lawyer for your defense in this case, a conviction may still result in significant penalties and affect your personal and professional reputation by resulting in a criminal record. We can help you fight charges such as domestic violence, drug possession, or traffic tickets. Our goal is to keep your record clean and your life intact. As you approach the later stages of your life, you will want to make sure that your assets are protected and that they pass to the beneficiaries whom you choose. New Jersey's rules of intestate succession (intestacy) may not exactly mirror your wishes, so it is worth taking the time to develop an estate plan, which can involve wills, trusts, and health care directives, among other instruments. We can help you craft a plan that minimizes taxes and other financial burdens for your heirs. We also can try to avert the possibility of litigation surrounding your estate, such as a will contest. When a person dies, his or her Will needs to be probated in the surrogate's court in the county in which the decedent resided at the time of his or her death. If the decedent died without leaving a will, someone needs to be appointed as an administrator. The duties of an administrator or executor are fairly similar with the major distinction being whether or not the decedent left a will. In either situation, the decedent's estate must be administered. The procedures that need to be followed by the executor or the administrator can be daunting and overwhelming to the average person. There are strict procedures and deadlines that must be followed. Our firm's attorneys have decades of experience in estate administration and can counsel and handle these matters for you. At Goldstein Law Group, we are passionately committed to serving residents of New Jersey in a wide range of legal matters related to their families and their future. Our divorce attorneys hold ourselves to a standard of the strictest personal and professional ethics. We proudly serve individuals from Monmouth County, Middlesex County, Ocean County, Freehold, Rumson, and Red Bank, among other communities. You can contact us at 732-967-6777 or by completing our online form to set up an appointment.